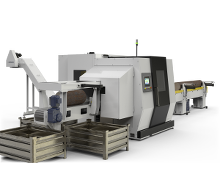 Carbide Production Saws & Systems - Automatic Cold Saws | Advanced Machine & Engineering Co. Developed for simple operation and low maintenance, the P-Series is a cost efficient, rigid saw for cutting stock up to 355mm diameter. Heavy-duty saw for material diameters up to 760mm (30"). Lined slides with integrated low backlash gears, hardened and ground box ways using pre-loaded hydraulic gibs, and anti-friction ball screws coupled to the servo motor guarantee a smooth material feed with 10 tons of clamp force. 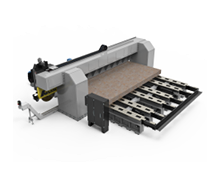 Available as a pivot or slide saw, the R-Series is designed specifically for cutting rails. 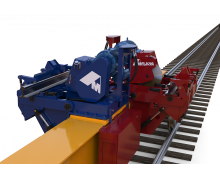 Integrate single or multiple spindles with tool changers to add another process like drilling, allowing for complete rail manufacturing in one machine. 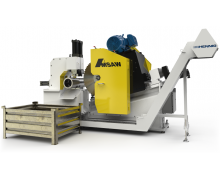 The AMSAW® V-Series is designed for high production, extremely efficient layer cutting. 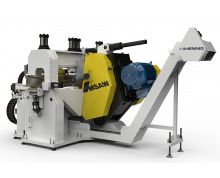 The AMSAW® F-Series (Plate Saw) is designed for high production sawing of flat material with complete material handling options available. The F-series cuts ferrous or non-ferrous material up to 350mm. With over 45 years of designing and manufacturing carbide saw systems, AMSAW® engineers and builds custom saw systems, including material handling, to meet the requirements for any application including ferrous and non-ferrous material. Tools, tips, and tactics for high production metal sawing.